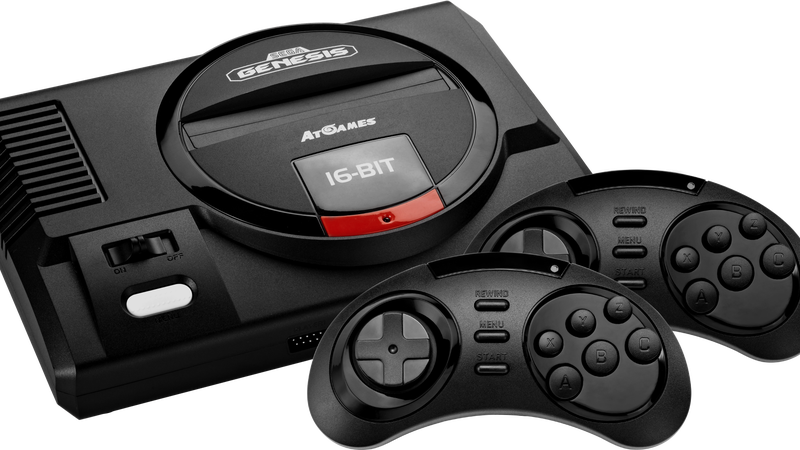 Samples of the upcoming Sega Genesis Flashback console sent to media outlets last month had outdated firmware that caused game glitches, according to the manufacturer. It will send updated hardware to those outlets soon, it said. Much like the SNES Classic, the Sega Genesis Flashback is an HDMI-enabled, $79.99 console that plays emulated versions of 16-bit classics. Unlike SNES Classic, this one features Sonic the Hedgehog, Mortal Kombat, Phantasy Star, et cetera. Manufactured by AtGames, it is set to be released on September 22. Flashback units designated as reviewable went out to various media outlets including Kotaku. We have not run a review yet, but the outlets that did universally slammed the device. Gizmodo called it “hot garbage.” Gamespot said the games had “missing frames and choppy animation.” “More like trashback,” said IGN. I had similar problems with our review unit. The menus were unresponsive and clunky, but much worse than that, the games ran with significant lag. When I’d press the jump button in Sonic the Hedgehog, there would be a perceptible pause before Sonic would leap into the air. It wasn’t something I would have recommended. But I also saw that outlets like CNET were presenting their reviews with a caveat, that a “second review sample” was on the way that would ostensibly fix the issues with the device. I contacted AtGames, and a representative confirmed that this was true—the device should not have these issues. Of course, none of the outlets that reviewed the Sega Genesis Flashback did anything wrong. They were sent units that were clearly marked as reviewable, with no qualifications, and they reviewed them. Given AtGames’ remarks, we’re going to hold judgment until we try out the new unit it is sending. I hope that AtGames can fix the issues I’ve encountered, as the Genesis Flashback otherwise has a lot going for it. Yes, 28 of its 85 games are weird shovelware that you’ll likely never play, but it still has 45 Genesis games including some very popular ones, plus a selection of Master System and Game Gear games as well. If it actually worked properly, it would be a great product. For now, we’ll have to wait for an updated unit.